With the New Year underway it's easy to make the mistake of trying to hurl yourself into unrealistic goals that you've set yourself for the coming year. I'm guilty of this that's for sure! However, taking small but positive steps is a great way to boost your moral and energy in the New Year. 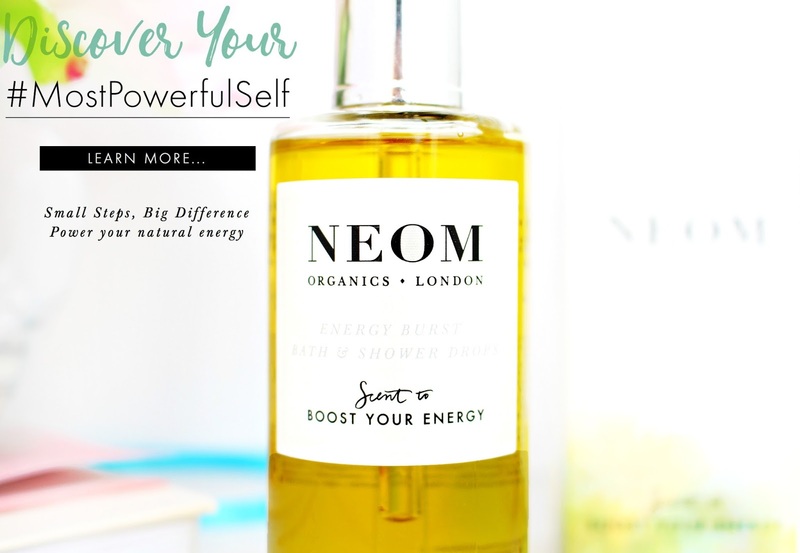 So when NEOM got in touch about their #MostPowerfulSelf campaign I couldn't wait to get involved. I'm all for self-help and think that looking after yourself is SO important regardless of how little time you have in a day. 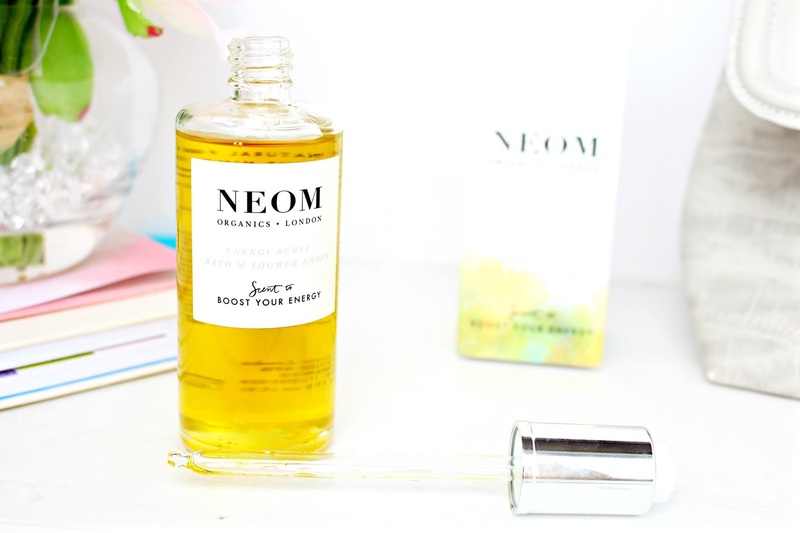 NEOM are a brand that pride themselves on wellbeing and I can't wait to tell you all about a product of theirs that has been really helping me to invest more time into my personal wellbeing. I'm always on the look out for ways to boost my energy, as I'm a pretty bad sleeper that has no mercy on my extremely busy lifestyle! 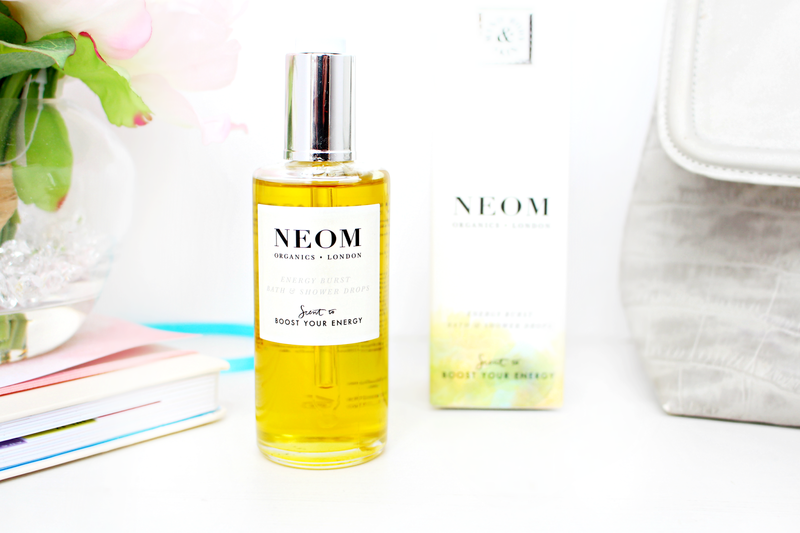 The NEOM Energy Burst Bath & Shower Drops are a beautiful amalgamation of 17 precious oils that are designed to recharge the mind and body. Grapefruit and Rosemary work together to detoxify the body and to mentally lift spirits, as well as stimulating circulation, with the addition of level to encourage clear, positive thinking. As much as I personally love a bath, more often than not I find myself taking a shower just to give myself that extra bit of time to run other errands. However, just because I'm taking a shower I like to make sure that I still treat myself and make the most of a few precious mindful moments alone! The Energy Burst Drops have slotted perfectly into my shower routine and have helped me to create my own energy-infused zone. I apply one pipette to my decolletage before taking a shower and amerce myself into mindfulness breathing, in through your nose for 7 seconds and out through your mouth for 11 seconds. I step out with lifted spirits, which gives me that extra bounce in my stride for the day ahead. It also works lovely in the bath and with 4 pipettes the whole bathroom is turned into an energising sanctuary, as well as having a beautiful effect on your skin. The uplifting fragrance of Grapefruit, Rosemary and Lemon really do work together to revitalise and energise the soul, along with skin-loving safflower oil, vitamins A and E and 17 additional invigorating essential oils, it really is a potion for champions. Nothing boosts my energy like having a good laugh! In all seriousness though laughter is a proven stress buster, so having a chuckle with your nearest and dearest is a sure fire way to boost your natural energy levels. I've been getting to grips with the Scandinavian concept of hygge and I was overjoyed to see that investing in candles is one of the number one ways to achieve the ultimate hygge experience. Lighting candles as part of the hygge concept is a great way to achieve ultimate cosiness, togetherness and a mental state of calm giving you the time your body needs to recharge and build up a natural source of energy. It's the most simple technique to boost your natural source of energy and to get your endorphins pumping! I love nothing more than taking a walk through the beautiful welsh countryside and experiencing the natural elements. I'm a total worry wart in general, but actually challenging myself is my favourite way to get my energy levels pumping! Whether I decide to challenge myself at work or in a more physical way, I always feel far more energised than when I just get along with day to day life. Whether it's opening the door for an elderly couple or helping my colleagues out at work, giving is something that makes me feel so good inside. It's nice to be nice, especially with so much negativity in the world. It really is possible to make a difference, even if it's in the smallest way. Discover your #MostPowerfulSelf for a chance to win £200 to spend with NEOM, Plus five lucky runners up will receive £50 to spend! 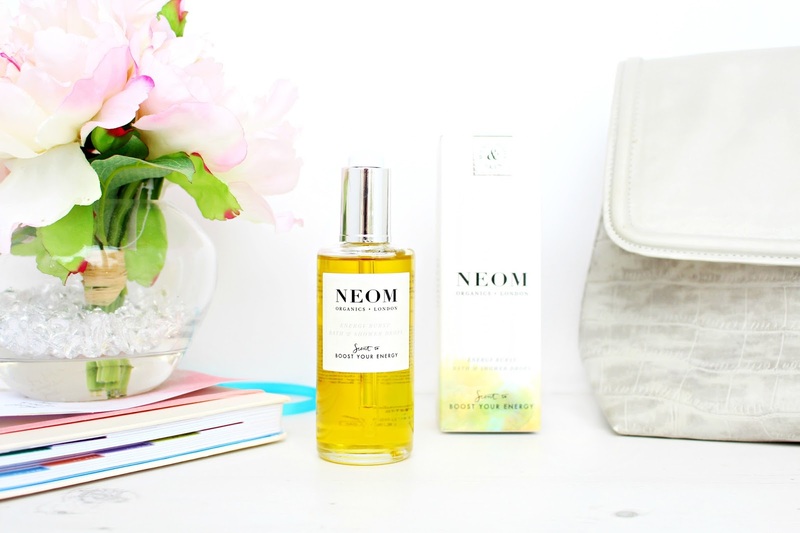 I hope you have enjoyed this super positive post, don't forget to stop by NEOM's website for the chance to win an amazing £200 to spend on their stunning products.